Velvet There are 10 products. 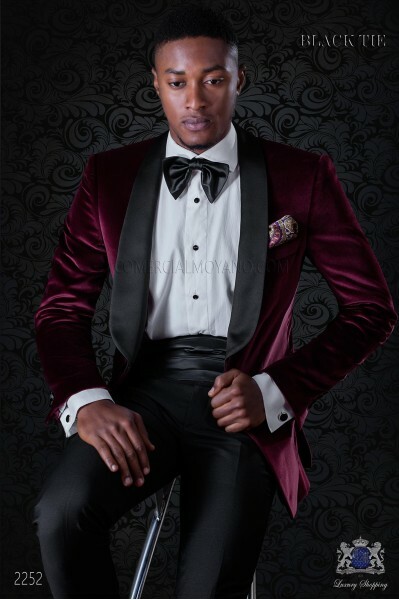 Italian burgundy velvet tuxedo with burgundy contrast lapels. Jacket with satin shawl collar and 1 covered button. Burgundy velvet fabric 100% cotton. Tuxedo 2252 Black Tie Collection Ottavio Nuccio Gala. 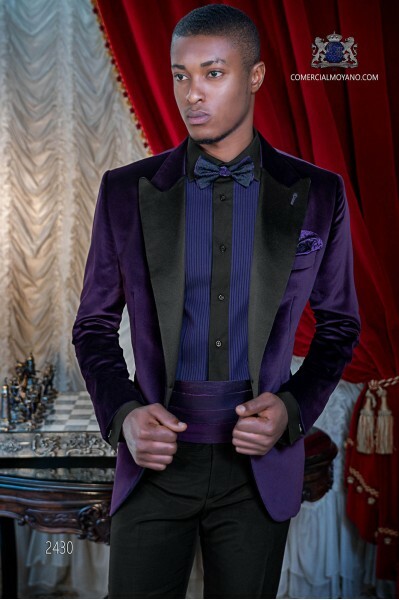 Italian purple tuxedo with black contrast lapels. Jacket with satin peak lapels and 1 covered button. Purple velvet fabric 100% cotton. Tuxedo Wedding suit 2430 Black Tie Collection Ottavio Nuccio Gala. 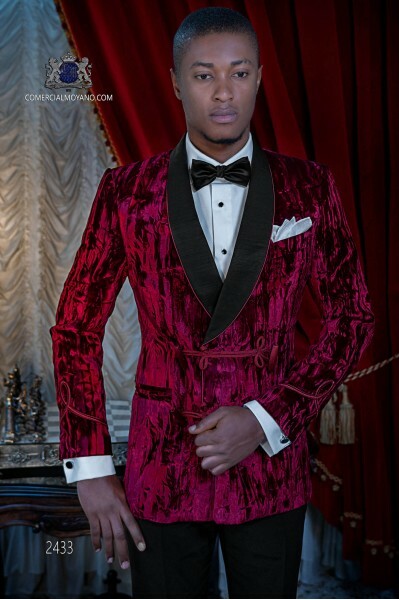 Italian red velvet tuxedo with burgundy contrast lapels. Jacket with satin shawl collar and 1 covered button. Red velvet fabric 100% cotton. Tuxedo Wedding suit 2432 Black Tie Collection Ottavio Nuccio Gala. 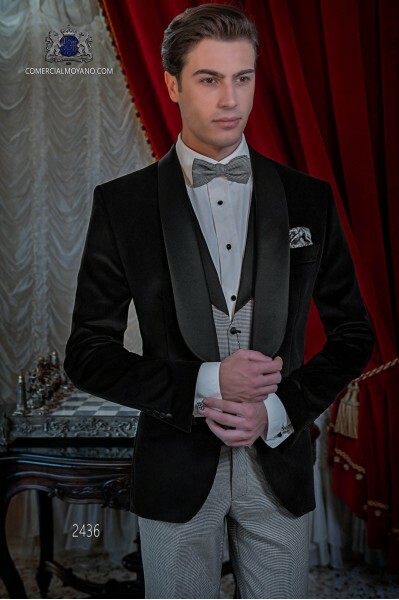 Italian black velvet tuxedo with black contrast lapels. Jacket with satin shawl collar. Black velvet fabric 100% cotton. Tuxedo Wedding suit 2434 Black Tie Collection Ottavio Nuccio Gala. 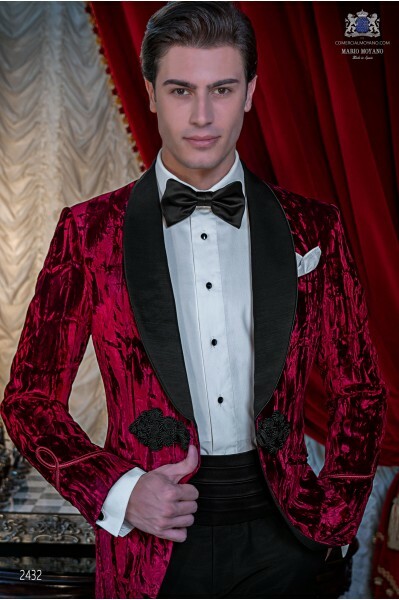 Italian double breasted velvet red tuxedo with black satin shawl collar and black trousers. Red velvet fabric 100% cotton. Tuxedo Wedding suit 2433 Black Tie Collection Ottavio Nuccio Gala. 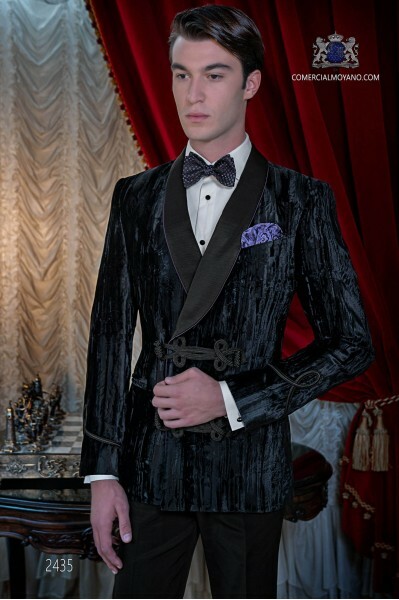 Italian double breasted velvet black tuxedo with black satin shawl collar and black trousers. Black velvet fabric 100% cotton. Tuxedo Wedding suit 2435 Black Tie Collection Ottavio Nuccio Gala. 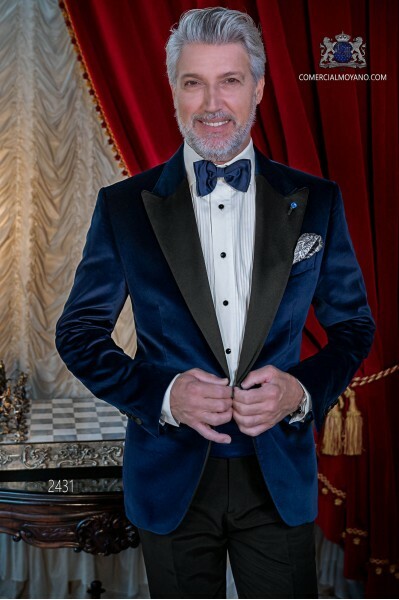 Italian blue tuxedo with black contrast lapels. Jacket with satin peak lapels and 1 covered button. Blue velvet fabric 100% cotton. 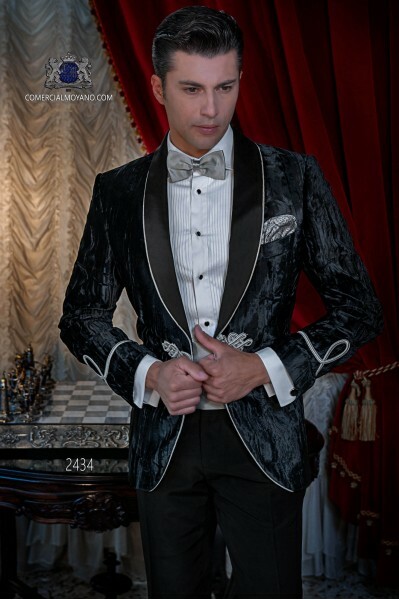 Tuxedo Wedding suit 2431 Black Tie Collection Ottavio Nuccio Gala. Italian black tuxedo with black contrast lapels. Jacket with satin shawl collar and 1 covered button. Black velvet fabric. Tuxedo Wedding suit 2436 Black Tie Collection Ottavio Nuccio Gala.Houndstooth wool fabric trousers and waistcoat with shawl collar and 4 buttons. 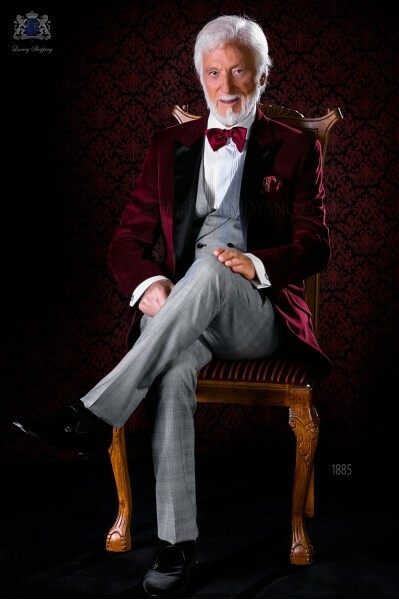 Italian bespoke burgundy velvet tuxedo with satin peak lapels combined with a check trousers. Tuxedo 1885 Black Tie Collection Ottavio Nuccio Gala.Grey “Prince of Wales” check double breasted waistcoat with 6 buttons, burgundy satin bow tie and red paisley design pocket square to complete the outfit.